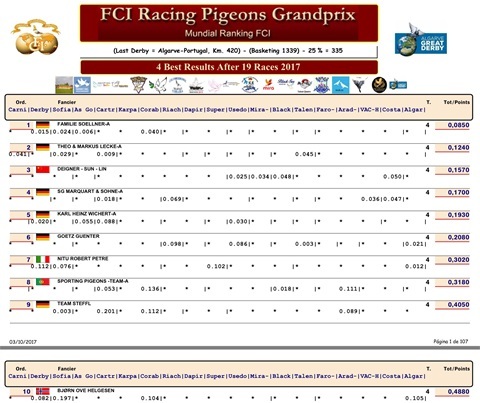 We are very satisfied to be ranked top 10 in the 4 best after 19 races at FCI 2017 Championship. Good results in Mediterraneo, Sofia, Corabia and Algarve Great Derby gave 0,4880 points and ranking 10 at the "4 best after 19 races". There is still some more races in this Championship. However, we will improve the performance from 2016 a lot (1,054 points and ranking 27 in 2016). We are already planning for the FCI season 2018 and hopefully we will manage to stabilize us at this level.